It’s back! 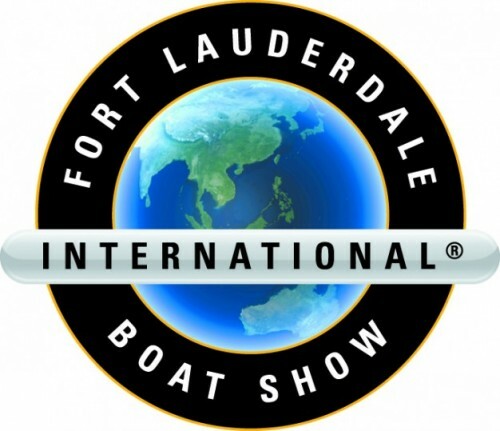 The 2016 Fort Lauderdale International Boat Show is here again. This spectacular event comes to the “Yachting Capital of the World” every year and along with it, magnificent boats and yachts will be on display. With more than 1,000 exhibitors, there is absolutely something for everyone. United Yacht Transport is also pleased to announce a record Mediterranean Fort Lauderdale Boat Show (“FLIBS”) sailing for our company. We filled the entire M/V Clipper New York, including the under deck, from the Mediterranean to Port Everglades just in time for display at this grand event! The largest boats on the Mediterranean sailing were the 124-foot San Lorenzo, 121-foot Couach, 110-foot Fittipaldi, 105-foot Monte Carlo and 92-foot Sunseeker. Several of these boats will be on display during FLIBS. 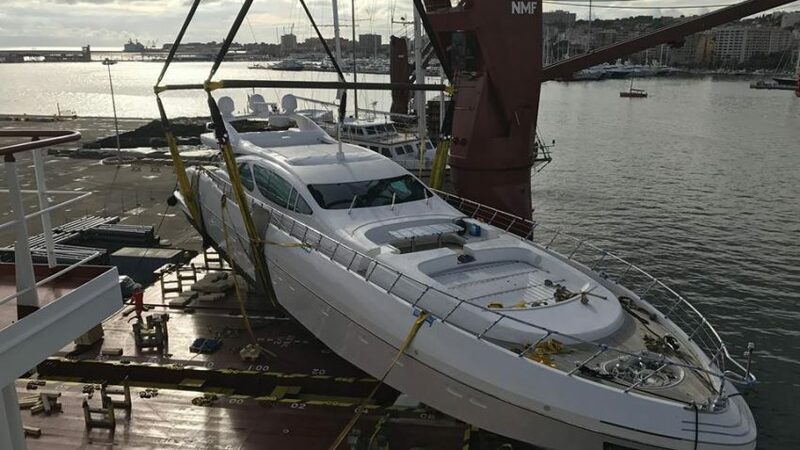 “We are pleased to have another chock-a-block sailing from the Mediterrean”, said Paul Haber, President of United Yacht Transport. 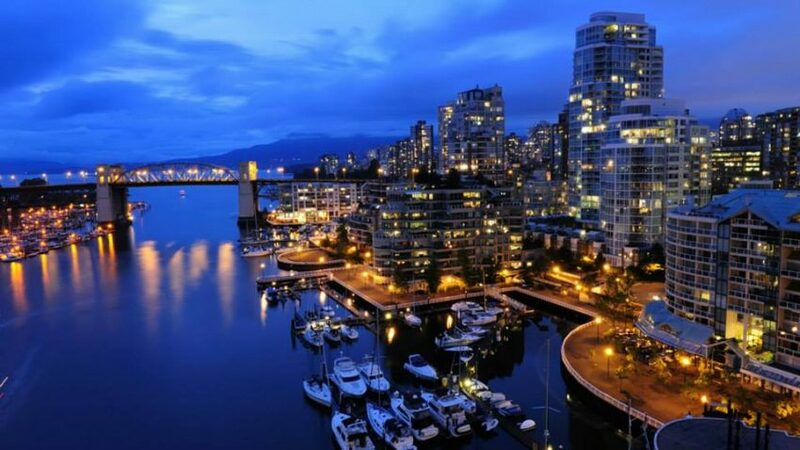 Our Yacht Shipping Company is the Leader in North America. Let Us Transport Your Yacht to Your Vacation Destination. Our Yacht Transportation Company Will Treat Your Vessel Like It Was Ours. When you want your yacht treated with the utmost in care while transporting, contact a company which will do just that. Your beautiful yacht needs to be taken care of by a team of professionals who know what they are doing. Our team of specialists at United Yacht Transport are safe, reliable, and professional. We transport from the coasts of North America to across the world. Your yacht is your pride and joy, let our experienced staff take care of transporting it to its next destination. Know About the Company that is Transporting Your Yacht. Before choosing the company for your yacht transportation, you should know a little about them. First of all, ask them if they have all of the proper licensing required by the appropriate authorities. If you are in doubt of their licensing, you can always check out their company at the SAFER website to ensure that they are indeed licensed properly. Next, ask them about their insurance. Of course, you will have your own insurance policy but if you don’t have a policy that covers transport damages, the cost of damage may come out of your pocket. Also, ask if they have a tracking system on the cargo ship. This way you can monitor the transportation progress. And above all, ask for references. Word of mouth is typically a credible way to get information. You can also read independent reviews online. Remember to get an estimate! Don’t choose a company with all of those hidden costs. Ask for an upfront cost and make sure that the company sticks with it. Lastly, ask the company if there is anything that you need to personally do to prepare for the transfer of your boat. Yacht transportation, when done by the leading company in North America, offers the owner an experience that he will remember. United Yacht Transport is, in fact, the leader in this industry in North America. By giving our customers a reliable year-round sailing schedule, unparalleled customer service, and a low price guarantee, we have worked our way to the top. Our specialists pay attention to every detail from the moment you choose us to transport your yacht. From loading directly from the water or shore up to the cargo ship, until the minute your yacht reaches its destination, our focus is on the care and safety of your vessel. We also are extremely familiar with each port that we travel to and can offer specific details about each if need be. By transporting boats to the most popular ports around the world year-round, we know the safe passageways like the back of our hand. Our knowledge and flexibility are what sets us apart from competitors. And our safety record is impeccable. We Are Professionals in the Yacht Shipping Industry. All of our Untied Yacht Transport employees are put through a demanding and laborious training process to ensure their knowledge in each step by step procedure. From loading and unloading to handling slings and chains used to secure each vessel, our team knows and understands the progression from beginning to end. The experienced seamen that we work with know the seas we travel, if there is ever an unforeseen circumstance due to the weather, they will make the call to possibly delay or re-route. Safety to both people and possession is a number one priority in our company. Our insurance policy is through Lloyd’s of London which is an A rated insurance company. We also receive daily email updates from the cargo vessel with estimated time of arrival for each port destination. 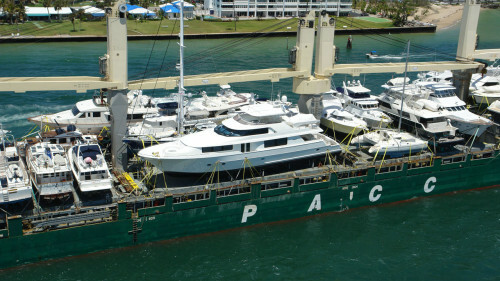 South Florida is the Home of Our Yacht Transport Company. 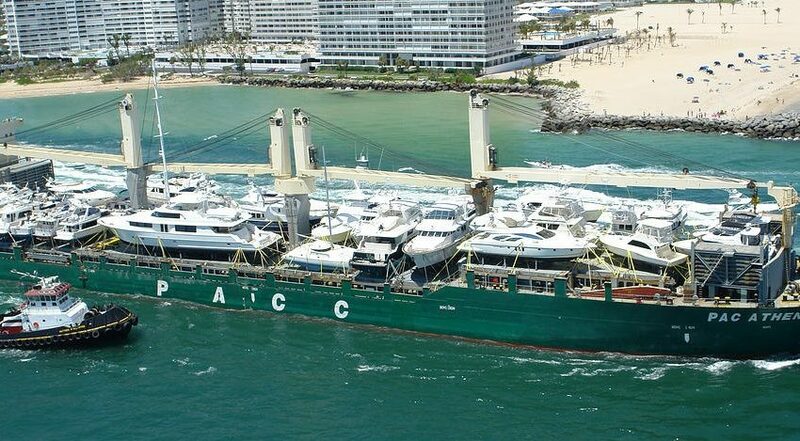 Located in South Florida, United Yacht Transport Company is at the heart of the yachting capital of the world! Fort Lauderdale has more than 300 miles of waterways and has tens of thousands of registered yachts in the water. South Florida has more registered boats in the area than in any other state in the United States. Also, South Florida is where the International boat show is held. Every year, about 100,000 people come to this event to see new and exciting vendors. The boat show is a spectacular affair showcasing yacht designers and builders, high-performance boats, sailing yachts and motor yachts and so much more. If you are a boat lover, this is a show that you do not want to miss. So it is no wonder that tourists come from all corners of the world to visit. And for this reason, United Yacht Transport has the perfect place to call home. Contact Us Today for A Boat Shipping Estimate. With our wonderful customer reviews, knowledgeable and reliable staff, and our low price guarantee, there is not a single reason that you should choose another company when it comes to yacht transportation. If your vessel needs to go to or come from any of the major destinations that we travel to, give us a call or send us an email for a free quote. We will treat your yacht as if it was our own, which will keep you coming back to us each time you need to reach a new destination. Some of our destinations include the coasts of North America, Mexico, the Caribbean, Asia and the Mediterranean. Don’t settle for a substandard company with hidden fees or less than qualified employees. Go with a company who is known throughout the yachting community as being top-notch in the industry. When it comes to yachts, luxury is the keyword you want to be looking for. Yachts come with all sorts of amenities that you can enjoy, but how can you work out which ones are essential and which ones are less than ideal? Here are the four modern yacht amenities that you don’t want to be without on your travels on the water. Yachts have long been the perfect place to lay out and work on your tan. They’re fairly private, relaxing, and offer amazing views when you sail out to open waters. What can be better than grabbing a drink and the new novel you’ve been reading, and laying out in the sun? Yacht builders know this, and so they create dedicated sunbathing spots on modern yachts. Known as sun pads, they allow sun worshippers the best spot on the boat to relax and unwind, all while taking in some rays. They’re actually a fantastic way of utilizing lost space on your yacht, so they’re well worth looking into. It’s not been unusual to see a paddling pool on a yacht, but more manufacturers have been leaning into the swimming pool scene, adding full swimming pools to their models. 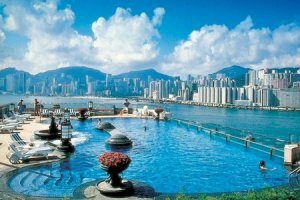 Some are large enough for you to swim laps in, and comes with water jets to enable to swim in one place. These are designed for training, so if you’re serious about swimming you’re going to want one of these. There are a few reasons why you’d want a swimming pool on board your yacht. First of all, it’s a lot safer, especially if you have children on board. Those on the ship can get a swim in safely, without having to worry about other boats, or the wildlife living in the ocean. Often, it’s cleaner too. If you’re thinking of using boat transport though, remember you’ll need to drain the pool before you move the yacht. Gone are the days of packed lunches in a cooler on the boat. You no longer have to stick to sandwiches, as yachts are now coming with fully installed kitchens on board. You can bring delicious healthy food with you on any trip, meaning you can get all the nutrients you need without having to compromise. Those who love their gourmet food won’t have to go without, either. Many yacht owners are hiring chefs to handle the cooking for them, leaving them to relax and enjoy their cruise. There’s nothing better than having a freshly cooked meal ready for you when you’re on your boat. You’ve got to try it for yourself. If you’re on your yacht, you’re in for a day of relaxation and pampering. Why not go the whole hog and get a yacht with spa equipment? You’ll be aware of yachts that come with hot tubs, that allow you to soak while you’re out at sea. This is tempting as it is, but there’s so much more you can have. For example, more yachts now are coming fitted with saunas. These are often a separate room in the cabin but can be attached to the master bedroom. It’s a great way to soothe aching muscles and cleanse your pores while you’re taking a day out to chill out on your boat. Some yachts are now even coming with their own gymnasiums and massage centers, perfect for those who want to get a good workout wherever they are, and those who need some care and attention. You can hire a masseuse to come out with you and give you a massage on your trip. There’s nothing quite like getting that massage while surrounded by open ocean and the sounds and smells that brings. There are all sorts of amenities available to you as a yacht owner. It’s time to think about what you really want from your boat and enjoy your sailing trips to the fullest. Think about whether you’ll use them, whether they’ll be an issue when booking yacht transport, and whether you’ll enjoy them when you’re out at sea. You can custom build your yacht so it has the amenities you want when you want them. Some folks eagerly wait for the day they can retire and have all the freedom they wished they could have had as a younger adult, but for some, it means leaving a job they love or stepping into an unknown season of life. Some jump right into retirement while others slowly wade in, testing the waters, unsure of how this new lifestyle suits them. Retirement. It means something different to each person. For some people, retirement means sitting on the front porch watching the grandchildren play in the yard, for others it is the warm ocean breeze and the sound of the waves lapping the shore, and still others prefer the prospect of retiring to a leisurely life spent predominantly on the local golf course. Then, there are the yachters whose ultimate retirement is at sea, aboard their luxury yacht, watching the dolphins and gazing at the sunset. So how does one plan for such an extravagant retirement? First, make sure you are financially prepared for such a big step and that your expected lifestyle does not exceed your budget. Factor in your necessities and your wants as you create a healthy financial plan. How will you handle any unexpected costs that arise with the boat or otherwise? If any health issues come up, how will they be covered? Remember, too, that if you are on Social Security, you will have to pay a fair amount of taxes. Once you have your budget laid out, you will want to find the perfect boat to sail away into the sunset. If you already have your yacht, however, then begin to plan your excursion. Where is your destination and how will get where you are going? 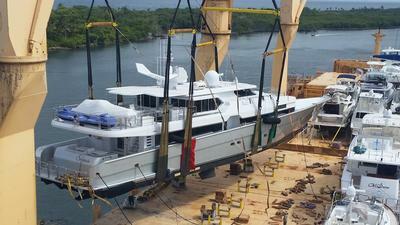 If you need your yacht transported to kick off your retirement voyage, you are in luck. Contact the UYTC and ask about their low yacht transportation rates! The UYTC is based out of Fort Lauderdale, Florida, and specializes in transporting yachts via carrier ships across the ocean. We have shipped more boats from the East to West coasts of North America than any other carrier worldwide. Our yacht transport business has destinations that include East and West Coasts of North America, Mexico, the Caribbean, Asia, Costa Rica, Singapore, Greece, Hong Cong, Italy, Japan, Panama, Canada, and the Mediterranean. Available at certain times of the year, specific routes are frequented more, but we are flexible and willing to work with you if you have someplace else in mind. Let us know and our custom destination division will take you to a less traveled destination, such as the Maldives Islands, South Paciﬁc Islands, and even Antarctica! We strive to meet the need of each individual client. If you require a voyage outside of regular shipping times, we have longstanding relationships with most lining companies so we have the purchasing power to get our clients the lowest shipping rates possible. From start to finish, the United Yacht Transport Company ensures that your boat will be handled safely. You can be confident in timely and efficient deliveries, and will never be late again for a voyage, show or launch. We are proud to not only be a leader in the business but are also direct carriers who provide safe, reliable and cost-effective yacht shipping services. Offering one of the lowest boat transport costs, we handle boats ranging in size from 30 feet up to 160 feet in length! 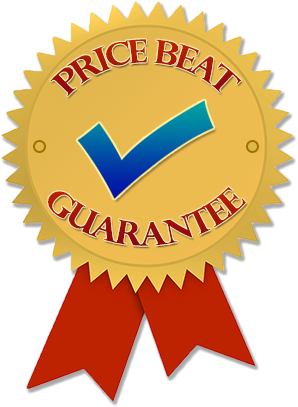 Not only are we reasonably priced, but we also have a 15% pre-booking discount and a give free quotes. No matter what we do, we strive for excellence. Get pre-estimates on all boat shipping and transfers, as well as handling insurance and registration paperwork. We are also the only yacht carrier in the industry that guarantees our customers a 100% risk-free booking program. Enjoy the benefits of booking with a company that has the highest standards. We out-shine our competitors, especially when it comes to our incredible customer service, so call today for a quote or go online. 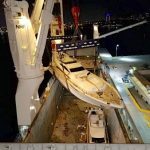 How Does Yacht Transport Work? Using a premier yacht carrier to transport your vessel to your next vacation destination is a great way to save it from wear and tear and give yourself, workers or anyone else a vacation of their own. 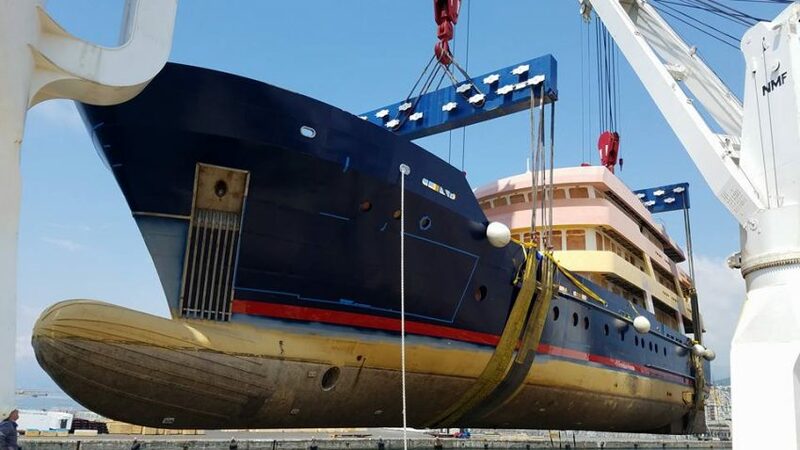 United Yacht is the premier worldwide yacht transporter and offers cost-effective yacht transport and boat shipping services. We transport vessels from one location to another worldwide to the Caribbean, Mexico, Asia, the Middle East, and the Mediterranean. We’re committed to offering each customer reliable, adequate and hassle-free yacht transportation. If you’ve never utilized our services before, there are few things you need to know in order to properly prepare your boat for transport. United Yacht explains why they’re ahead of the rest of their competitors. Why Is United Yacht Transport Better than over other transport companies? Safe, reliable transport and unparalleled customer service have led United Yacht Transport to become the largest transporter in North America. The company has shipped more boats between the East and West Coasts of America in the last year than any other carrier. Each vessel is handled safely and securely as if it belonged to the company itself. 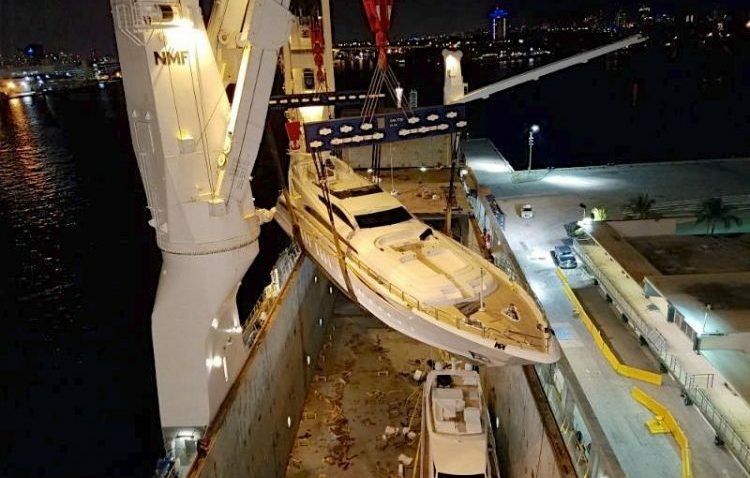 How does a yacht get transported? When preparing your vessel for transport, it’s important to secure everything. No matter how far your boat is traveling, you should secure it as if it were crossing an ocean. Secure anything that extends beyond the hull and anything loses that could cause damage during the voyage. Secure hatches with tape to avoid leaks and possible water damage and latch all cabin windows. Make sure the boat transportation company offers all-risk insurance that will adequately protect your vessel if anything should go wrong. Remove all personal items from the cabin and store any breakables in a safe place. Your boat may be traveling on another boat, but it’s still going to experience the force of the ocean. Don’t forget to remove any prohibited items from your vessel’s lockers, especially if you’re going to be passing through customs. Power down everything, unplug your batteries and store your cables to prevent any contact. You don’t want dead batteries when your vessel is offloaded at your destination. Bring your original registry and boat keys on the date of your trip. Also, make sure you have all necessary customs paperwork if you’re going on an international voyage. 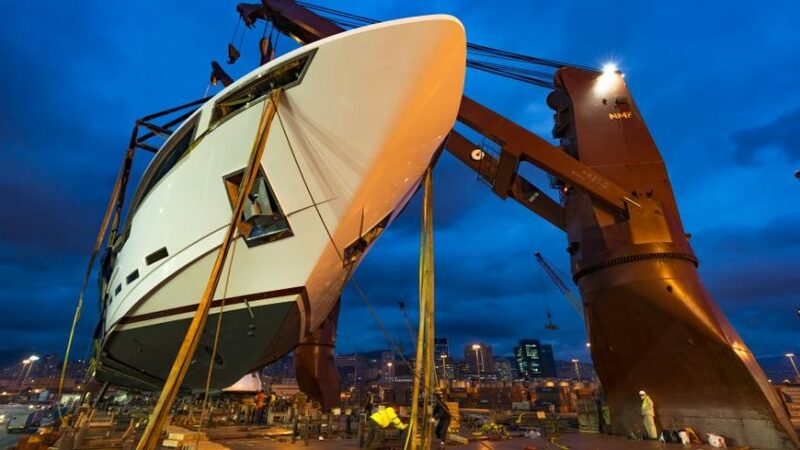 Inform the yacht transportation company of your vessel’s specs in advance. Make sure your measurements are accurate because they are allocating space for your boat according to the information you give them. If you’re not sure where to find this information, look in your boat’s stability book for Displacement. Inspect your boat for damages and take pictures to document any that already exist. Also, if you dismantle any parts to fit size requirements or prevent them from getting damaged, be sure to take pictures of their location and set-up. Protect the outside of your yacht form soot, salt, etc. with shrink wrap. If your vessel is too large to cover completely, just stick to the most vulnerable areas such as teak and non-skid surfaces. Also, cover all stainless steel and chrome fittings or apply an insulator wax to this exposed metal. If possible, remove and store the windshields. United Yacht takes important steps to ensure your vessel is all set for smooth sailing. United Yacht Transport specializes exclusively in the transportation of yachts to any worldwide destination. Through our highly skilled and experienced yacht transportation management team, both onshore and aboard our ships, we are dedicated to providing our clients with safe, efficient, and reliable boat shipping/yacht shipping solutions. We are one of the most progressive and innovative in the yacht transportation industry. Our team constantly strives to exceed expectations with customized yacht transport logistics and solutions. Speak to one of our experienced staff for your boat shipping cost estimate or yacht shipping needs. Summer is Over, but there are Still Great Destinations to Visit this Winter! With the summer months behind us naturally we transition to a dormant state of mind. Our days are starting to cool off, and we begin to brace ourselves for chilly winter weather. Just because summer has ended, your vacation state of mind does not have to! There are many great vacation destinations that are ideal for the winter months. The winter months are the perfect time for yachts to head to warmer climates and for their patrons to enjoy the open waters. Tropical climates make great winter destinations. Whether you decide to hire a yacht transport company or set out on the voyage yourself, there are many things to consider. 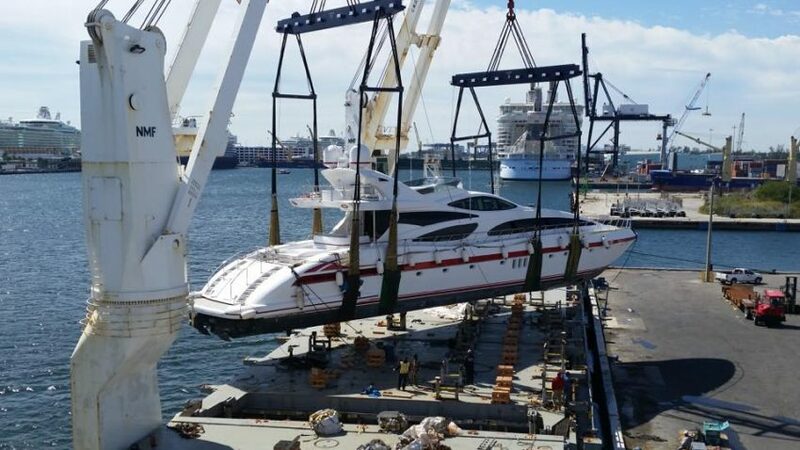 United Yacht Transport offers premier services to ensure the safety of your yacht to your destination with the best boat transport costs available to our valued customers. Some of the most popular winter charter destinations are located in the islands of the Caribbean stretching all the way through the chain of islands including Cuba and Jamaica in the west, down through the Virgin Islands, The Leeward Islands, the Windward Islands, the Dominican Republic, and Puerto Rico, finally ending at Trinidad and Tobago in the south. 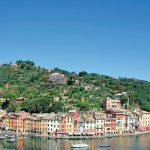 These destinations are particularly popular in the winter months for those looking to escape the colder climates of Europe and North American. 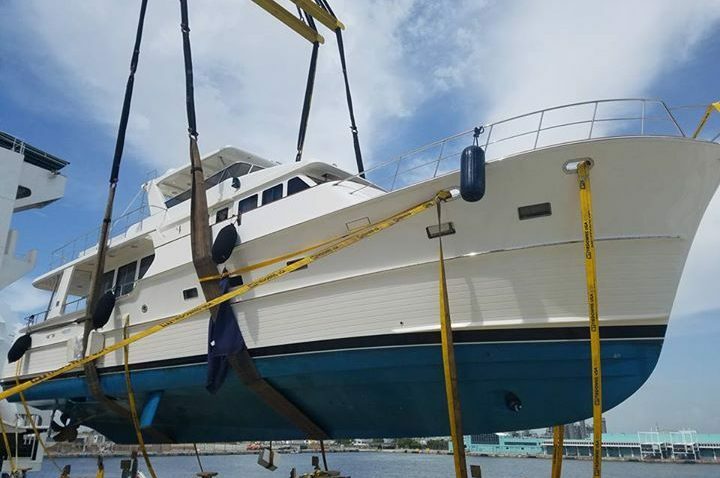 For a detailed boat shipping estimate contact United Yacht Transport to see how we can provide you with a convenient service that can make your travels a breeze. Our premier yacht transportation services are an ideal option for a hassle-free boat shipping company. Headquartered out of Fort Lauderdale, Florida, we specialize in transporting yachts to any destination around the world. Our team is highly skilled and experienced in the handling of your precious vessel. Whether onshore or aboard our ships you can be sure that the management team will treat your yacht as if it were their own. Our company is always expanding so no job is too big, and we can give you the confidence that you are looking for when you leave your yacht in our care. For a customized yacht transport service with a great reputation, we are your top choice for providing a quality service that you can trust. When you call United Yacht Transport our qualified staff will listen to all of your concerns and answer all of your questions. By providing the logistical support we can help you choose the best route to suit your voyage needs. From price inquiries to a complete preparation guide, our staff is standing by to help with all of your questions. Our marina slips are kept clean and maintained with all parts in pristine working order to ensure your yacht is docked safely while in our care. Our Delivery Captains are of the highest trained in their industry. We also provide an all risk insurance to our customers to further enhance your peace of mind while your yacht is in our care. 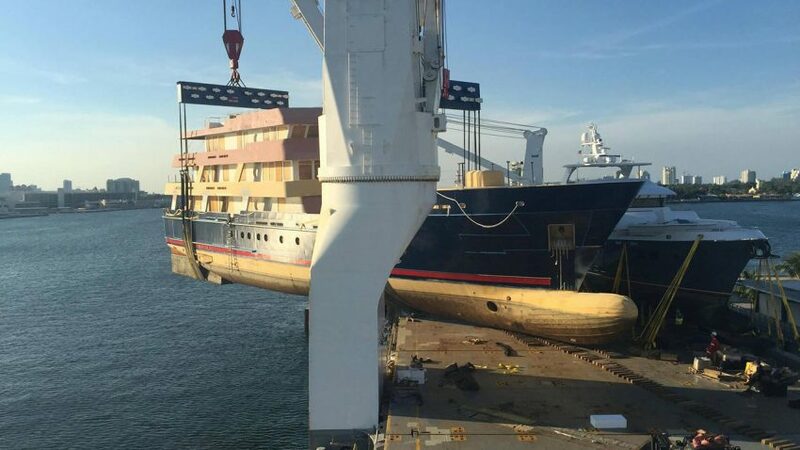 When you book your yacht transport with United Yacht Transport you are choosing the largest Yacht Transport Carrier in the world for your shipping needs. Located conveniently off of State Road on Marina Mile in Fort Lauderdale, Florida our location is perfect for your yacht transport needs. Our Crew and management are a highly trained staff that you can trust who take pride in your vessel as if it were their own. All pre-bookings are offered an amazing 15% pre-booking discount. We can transport your yacht worldwide from Asia, the Caribbean, North America East and West Coast, the Middle East, and the Mediterranean. Our great customer testimonials on our website can help you answer your questions and give you the peace of mind you need when trusting us with you yacht transportation. For a free estimate, call our experienced customer service team today. They are available to address your needs and help you pick the route that is the best choice for your yacht. Nothing is more exciting than discovering the world. United Yacht Transport is your answer for all of your worldwide travel destinations. When it comes to choosing a vacation destination, Greece is one of the most magical, and mysterious, places on Earth. With beautiful scenery, incredible history, picturesque villages, and fantastic tourist destinations, the country of Greece, with its thousands of islands, is a must-see. Home of the first Olympics, the Parthenon, and the majestic city of Athens, there are countless things to do here. If you venture off the mainland and plan to visit one of the islands, we suggest the island of Santorini. This little isle is one of the Cyclades islands in the Aegean Sea and was devastated by a volcanic eruption in the 16th century BC. This volcanic disaster has forever shaped Santorini’s rugged landscape. The whitewashed, cubiform houses of its two principal towns, Fira and Oia, cling to cliffs above an underwater caldera (crater). 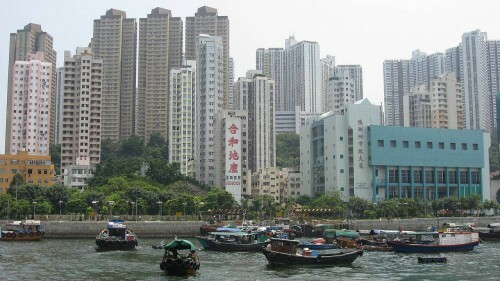 The houses sit incredibly close together and many are several stories high. The homes overlook the sea, small islands to the west and the island’s beaches. Interestingly, Santorini’s beaches are comprised of black, red and white lava pebbles; remnants of the volcanic eruption long ago. Just think about how beautiful it would be to cruise across the waters of the Aegean Sea while on your vacation. Unfortunately, that is such a long trip for you to try to make across the ocean. The good news is, you can still have your boat in Santorini without risking your life driving it across the ocean. With our Yacht Transport Company, we use our carrier ships to transport boats across the ocean. Use us again to get your boat back state-side from Greece when your vacation there is over. 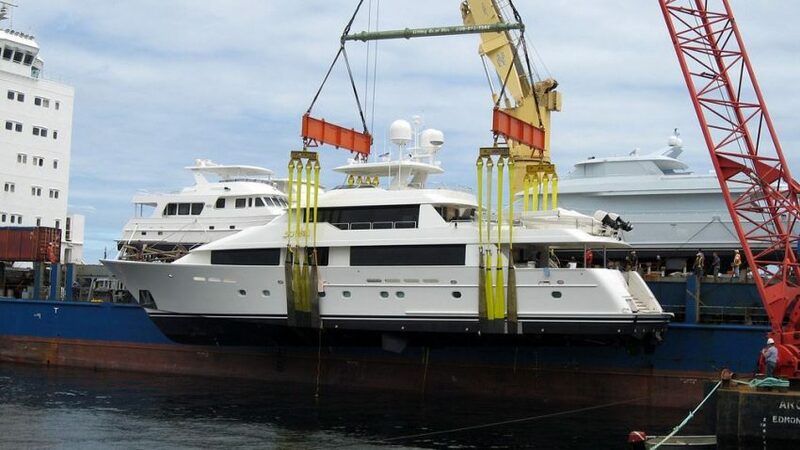 The United Yacht Transport Company, based out of Fort Lauderdale, Florida, specializes in transporting yachts via carrier ships across the ocean to any worldwide destination. Thus, we use boats to transport boats, going anywhere you would like us to take it. If you buy a yacht in Canada but want it shipped to you in Italy, you are in luck. 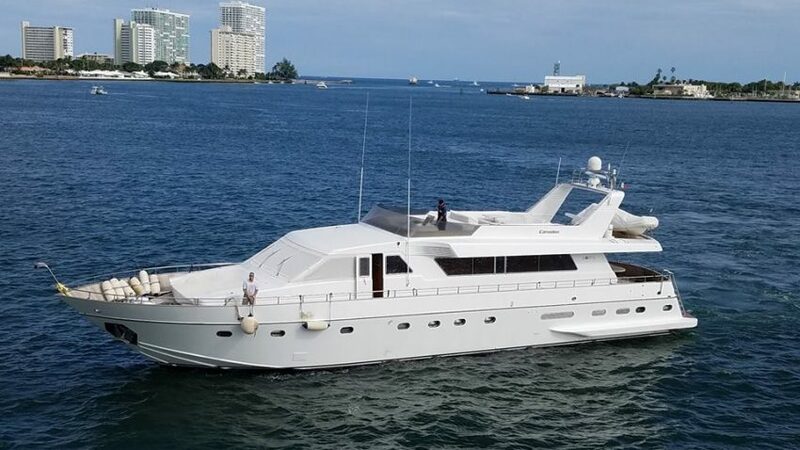 Our yacht transport business has boat shipping destinations that include the East and West Coasts of North America, Mexico, the Caribbean, Asia, Costa Rica, Singapore, Greece, Hong Cong, Italy, Japan, Panama, Canada, and the Mediterranean. 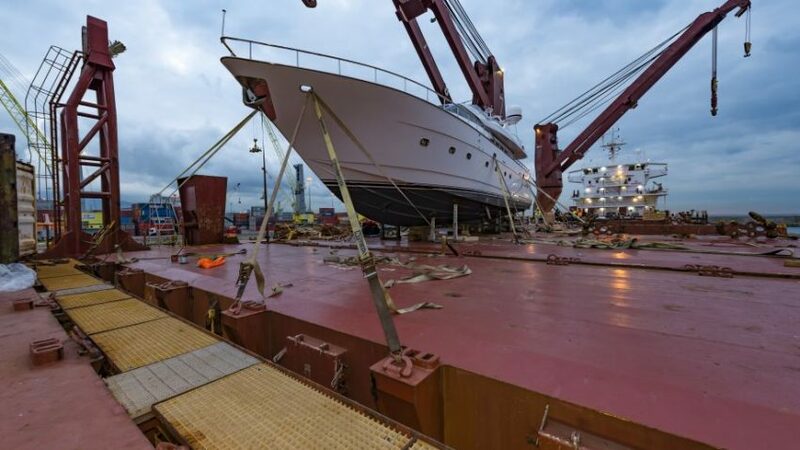 How does yacht transportation work? When you are ready to ship your yacht, contact us, explaining details and destinations. When it comes time to send your boat, the size of it will determine how it is loaded onto the transport vessel. If your boat is larger and more cumbersome, it will be placed in a trailer (or cradle, as some call it) and driven aboard the transport ship where it will be parked on the deck. If your boat is lighter, however, it can be picked up by a crane and placed onboard. From there, it will sail effortlessly across the sea, enjoying the company of other yachts, to its destination. What sets us above our competitors? We are proud to not only be leaders in the business but are direct carriers who provide safe, reliable and cost-effective yacht shipping services. We have shipped more boats from the East to West coasts of North America than any other carrier. With one of the lowest boat shipping costs, we handle boats ranging in size from 30 feet up to 160 feet in length! We make certain that our customer service far outshines the rest – our slogan is: “Once you call us, we are sure you’ll call us for all your shipping needs.” Call today for a free quote or go online. Ask us about our 15% pre-booking discounts. Trust the UYT to take good care of you! We can guarantee your peace of mind, knowing that your boat will be handled gently by our trained professionals. Expect timely and efficient deliveries, and never be late again for a show. With UYT, it is always smooth sailing! From beginning to end, we ensure that your boat will be safely handled. Go online and check out the testimonials from customers who have entrusted their boats to us. Boating season may be coming to a close this year but that doesn’t mean it’s over forever. 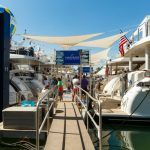 Planning for next year’s boat shows, like the Miami Boat show, can help to relieve any stress or excess cost associated with attending shows like this one. Fortunately, boat-shipping costs are affordable and available for most sized boats and yachts. With all of next year’s upcoming boating events, it makes sense to transport a boat to get there on time and safely. Don’t let the cost of transportation prevent you or your boat from attending a show together. Big or small, we can ship it! The shipping process starts with a free estimate of the shipping cost of a boat or yacht. A free online form, which details the size and measurements of boat or yacht help determine the cost. The port picks up and discharge dock also is included in the pricing estimate; once the sizing and measurements are confirmed and the pickup location, a final estimate is sent out. Boat owners can rest easy knowing that a team of experts is working on every end of the shipping process to ensure the cargo arrives safely. The team handles everything from paperwork, insurance, dock arrival and departure, and vehicle maintenance. A boat or yacht will arrive show ready in Miami or at any of the other six docks located around the world. The cost of shipping a boat or yacht is made affordable thanks to the well thought out and strategic shipping schedule. Shipping boats and containers are available in multiple sizes, some capable of carrying multiple vehicles at a time. This means that there are no wasted trips or extra trips. The strategic shipping schedule allows for a streamlined process and effort of delivering and picking up ships in an efficient and effective manner. No trip goes to waste thanks to their commitment to efficiency. Boat shipping costs should be affordable so money is available to spend on fun times! Boating events happen all over the world on every coast. Thankfully we offer to ship and pick up docks in multiple locations all over the world. The East and West coasts of North America, The Mediterranean, Mexico, and Asia are all ports we offer yacht transport and boat shipping too. Attend the Miami Boat Show and then cruise over the pond to attend events and happenings in the Mediterranean. Cruise the shoreline of Catalina Island on the West Coast of North America and then swim in the warm waters of Mexico. We know how fun and important these events are to boat owners, which is why their shipping schedules and points are as versatile as the owners. Never miss an event again! Typically, the boat shipping service is most popular during the boating event season. Whether an owner is entering their boat into a competition or merely interested in only enjoying the show, anyone is welcome to ship with them. A boat or yacht does not have to be small to ship either. Large boats and yacht owners are able to participate or attend the events happening this boating season. We welcome small and large boats and share the thrill and excitement that occurs during boating events. It might seem counterintuitive to ship a vessel, but the purpose of boat shipping is to ensure that a boat arrives on time and in one piece. Boat transport takes care of the little and mundane things typically associated with shipping within a country and internationally. All the paperwork, insurance, and liability are taken care of when shipping a boat through their service. Essentially, shipping a boat makes new waters and coastlines accessible. Using a shipping transport service also keeps a boat and the owner safe from harm or damage that could occur if the task was taken on alone. Make sure that next year’s boating season will be the best year ever! Starting with the Miami Boat Show. Don’t miss out on all the fun and action because of logistics or money. Call us today! 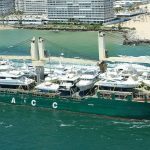 Headquartered in Fort Lauderdale, Florida, United Yacht Transport is in the business of transporting yachts all over the world. We have years of experience in providing safe, reliable, and efficient transportation that our clients can attest to. Boats of any size, destinations in any part of the world, or any special requests- we can handle it all professionally, and to your satisfaction. Once you use our services at United Yacht Company, you will not want to trust anyone else with your boat. Clients can pick the destination of their choice to have their yacht transported to, and we can schedule it. We transport to multiple destinations in Asia, Central America, Middle East, Caribbean, and more. The Mediterranean, especially, has many beautiful places that you may want to go to. One such place is Dubrovnik in Croatia. There are many reasons why this place is one of the hottest Mediterranean destinations. George Bernard Shaw famously described Dubrovnik as “the pearl of the Adriatic.” This stunningly beautiful city includes the Old Town which became a UNESCO World Heritage site in 1979. The Old Town has many beautiful sights including the well-preserved city walls that encircle the city and that you can walk along. Visiting Dubrovnik in the summer comes with the added attraction of witnessing the Dubrovnik Summer Festival with music, dance performances, and theatre. The city offers many sightseeing opportunities. You can find the Onofrio Fountain, built in 1438, the Franciscan Monastery, with one of the oldest functioning pharmacies in Europe, Rector’s Palace, which is a city museum that has many valuable and historic exhibits, the locals’ favorite meeting place, the Orlando Column, and the Jesuit Monastery to name a few. You can also visit the Church of St. Blaise built between 1705 and 1717, and that has a silver statue of the Dubrovnik patron saint on the altar. The patron saint holds a model of the city in one hand and is brought out each year during the Festival of St. Blaise. The spectacular shoreline and views of the Old Town can be enjoyed from the cable car. The cable car service takes just a few minutes to take you to the top of Mount Srd where you can take in the beautiful views while enjoying a snack or meal at the café at the top. And speaking of food, there are many great restaurants in the city – from the more upscale to family run- that offer an array of delicious local dishes, including the freshest seafood. After a perfect meal with some great wine, all that’s left to do is sample a kugla (scoop) of ice-cream in your favorite flavor. With museums, restaurants, and so much more to see, it may be worthwhile to purchase a Dubrovnik Card that gives you entry into many of the city’s museums, as well as allowing you to use the city’s public bus system for free. If Dubrovnik seems like the kind of place you would like to spend some time in, you may think about taking your yacht there and exploring the city and its surroundings at your own pace. While transporting a yacht can seem to be a complicated process, with United Yacht Transport, it is quite simple. It is not without reason that we are leaders in the yacht transportation business. Considerations such as customs clearance, measurements, insurance, loading/unloading charges, and more can easily and smoothly be taken care of by our experienced and professional team to provide you with the most stress-free boat transport experience. We are a licensed company that provides unsurpassed quality and care of service, reliable year-round sailings, and guaranteed the lowest price. To find out more about us and for our policies and procedures, staff experience, reviews and references of past customers, destinations, free boat shipping costs and more, just visit our website. You can also call us at 954-383-4448 to have any questions answered or for any other information you may need. With a reputable carrier like United Yacht Transport, you can soon find yourself enjoying the wondrous views of Dubrovnik or any other destination in the world! For Americans, a vacation often means a trip to the Gulf of Mexico or perhaps the west coast, but let’s be clear: while America does have some pretty cool vacation destinations, some of the spots you’re going to find in the Mediterranean really do a great job of dwarfing it, hands down. In fact, most Europeans find themselves heading to the Med for their vacation, and with good reason. Today we’re going to go over a few of the destinations you should see within your lifetime, and if you find yourself thirsting for a bit of travel once we’re done, then congratulations, our yacht transport service can make sure that you get there in style. You might not find your next vacation destination on the list, but you can definitely keep a few of these in mind. This is without a doubt one of the most popular Spanish islands, and if you’re looking for a quiet beach to relax on, you might be a bit out of luck here. It does have pristine beaches, unlike anything you would ever see in the United States, but it also has an extremely active nightlife. This was a very popular destination from the 19th century onward, and it’s also been the home to more than a few famous artists, including Agatha Christie. All in all, it has plenty of activities and it’s steeped in culture, making it a great place for anyone to visit. Most importantly, it’s a great place to visit all year round. If you’re looking for a famous beach to visit then you’ve found it. You know all of those pictures of beaches with crystal clear waters that you would swear don’t’ actually exist? Well, they do here, and this place is really like something out of a fantasy. It’s set in an area surrounded by steep cliffs, and at the right time of day, you might be able to see a few base jumpers taking advantage of them. The best way to reach this destination is by boat, and with the right yacht transport company, that really isn’t going to be a problem. As with the previous destination, this is one that you can enjoy all year round. Beaches are amazing, without a doubt, but sometimes you want to see something different. If you’re thinking of getting yacht transportation this year or next, you might want to think about stopping by this destination. It’s beautiful, and it’s a very authentic Italian village. Exploring the village is fun, but if you want a break, make sure you check out some of the hiking trails which are perfect solo, or with a romantic partner. You can visit this village all year round and take some amazing memories home with you. This is one of the most popular tourist destinations in the Med, but it also has another feature: it’s protected by UNESCO due to its historical significance. This is an amazing piece of the past, and you can see it from all angles with the use of a cable car. If you’re more interested in exploring it from ground level then you’ll definitely want to check out some of the summer festivals, and even spend some time on the beaches. Now that you know what you want to see in the Med, the question is getting there. Our boat transport costs are very competitive and can be completed in a timely manner, giving you plenty of time to explore the area. Call us today to learn more about your yacht transport opportunities. 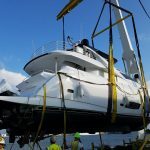 When it comes to yacht transport, you want to save money, and at first glance, actually having your boat loaded onto a transport vessel probably looks very expensive. A typical trip is probably going to cost you $500,000 or more, but when you take into consideration the cost of moving the yacht yourself, you’re going to find that it’s well worth it to pay us to get the job done. Fuel – This is one of the single largest expenses that you’re going to deal with – did you know that it can cost you more than half a million dollars in fuel just to get from Miami to the west coast? That’s more than it would cost to have a yacht shipping company like ours get the job done for you, and that’s absolutely unforgivable. Crew Costs – Unless you’re an expert sailor you’re going to need to pay some crew to help you get from Point A to Point B. The crew will complete various tasks, including engine maintenance to make sure that everything runs smoothly. The last thing you want is to find yourself stuck out on the water without a crew to help you repair a busted engine. Supplies – A long trip is going to burn through supplies – of that, there is no doubt. You will find yourself going through food, water, and all sorts of other equipment designed to keep you alive during your long trip. It all adds up, and soon enough, those protein bars you packed are going to start looking like dollar signs. Maintenance – Last, but certainly not least, you’re going to have maintenance costs. Sailing is hard on any yacht, but if you’re taking it over a long distance you’re definitely going to have some problems. That being said, you’ll need to make sure you have several thousand dollars set aside to repair the damage once you get into port. We’re not just talking about damage to the exterior of the boat, we’re talking about damage to the engine and many other parts – it’s all important. Instead of taking on the journey yourself, why not hire a company that knows what they’re doing and can get your boat to the other side of the world safely? Sure, it’s going to be a bit expensive, but it’s far cheaper than the alternative, which would be to pay for all of the items that we mentioned above. 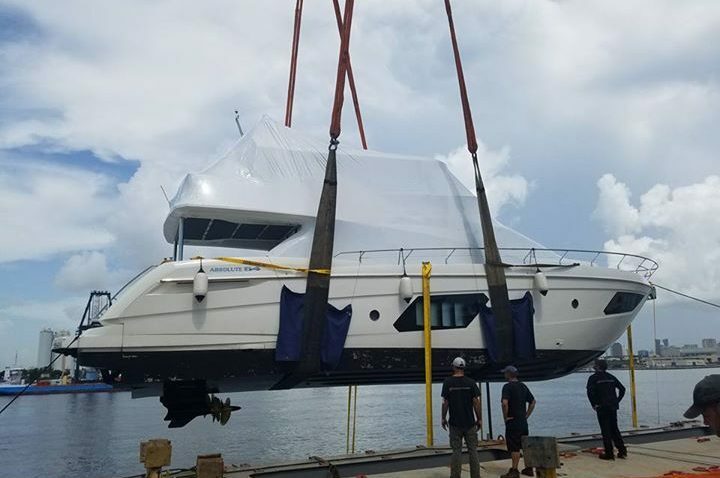 United Yacht Transport not only has access to the best equipment, but also the skill to make sure that your boat makes it from Point A to Point B without a scratch, and on time. Want to know more? Are you ready to start your yacht transport journey? You might just be on your way to a dream vacation, a boat show, or a new home, and it can happen faster than you think. Give us a call today to find out more! Yacht transport to the Mediterranean is pretty popular this year, and why shouldn’t it be? There are so many different things to see, do, and experience throughout the entire area. You also have the chance to take some amazing pictures back home, which more than helps compensate for the boat transport cost. Today we’re going to talk a bit about Melissani Cave – an outstanding destination for anyone thinking about yacht transportation to the Mediterranean. If your plan is to visit this outstanding location, you’re going to find it right outside Sami. As far as destinations go, this is definitely one that you’re going to want to visit, and with good reason. There’s a lot of mystery here for new and old tourists alike, along with the forests surrounding it. Inside the cave, you’ll find two chambers separated by an island in the center. Above, a caved roof allows sunlight to seep through and at the right time of day (at noon) the entire cave appears to be filled with blue light. It’s an illusion, of course, but it’s definitely something to see, and a great reason to arrange for yacht transport to ensure that you DO get to see it at some point. Other times of the day work their own brand of magic on this natural wonder, meaning that while noon is definitely the ideal time to stop by, you can enjoy it at virtually any time of day. If you want to see something really cool, visit in the early morning. The water in the cave is 20 to 30 meters deep, which is actually pretty considerable, but at the right time, and with a boat of your own, you can enjoy the illusion of boats floating in a pool of light. To put it simply, that’s just plain cool. If you’re interested in seeing a different view of the cave, then you’ll definitely want to take a hike to the top where you’re going to have access to a small balcony that allows you to look down on the interior. You can see this cave from all different angles, and you can also see it from several different perspectives. For example, the first chamber of the cave is sunlit, but the second is still dark, covered in moss, and features many stalactites. To put it simply, if you visit this cave, it’s one that you are going to remember for the rest of your life. If you want to see this cave in style then you’re going to want to bring your yacht. Don’t worry; you can do exactly that with the right yacht transport company. 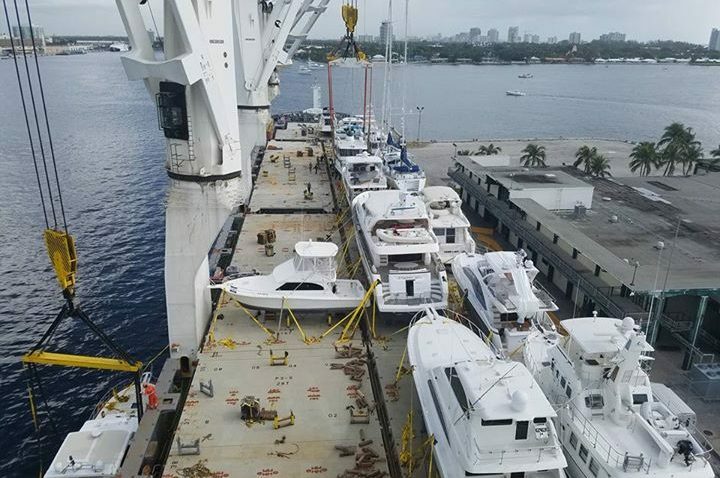 United Yacht not only has the ability to get your boat across the sea, we have a combined thirty years of experience which will ensure that your yacht is loaded properly at the Port of Miami and will reach its destination on time and without a single scratch. Want to know more? Are you ready to undertake the ultimate adventure to the Mediterranean with your precious yacht in tow? We have the equipment, we have the experience, and we have a list of great destinations that we ship to every single year. For more information and to get your ultimate vacation started, give us a call and see what we have available. Not only is it a more convenient option, it is far cheaper than moving the yacht on your own. We have your best interest at heart and we’re going to get the job done right. We have the equipment, we have the experience, and we have a list of great destinations that we ship to every single year. For more information and to get your ultimate vacation started, give us a call and see what we have available. Not only is it a more convenient option, it is far cheaper than moving the yacht on your own. We have your best interest at heart and we’re going to get the job done right. When it comes to yacht transport, for boats big and small, boat shows are without a doubt one of the most common reasons for them. Yacht shows are common around the world, as you probably already know, from Miami to France. Today we’re going to be talking a bit about the Cannes boat show which takes place in France, particularly of the resort town of Cannes. Cannes has many claims to fame, for example, the international film festival, along with the Boulevard de la Croisette which embodies a curving road along the coast, lined with some of the most beautiful, white sandy beaches the world has ever seen, end of story. There are plenty of other things that make Cannes really stand out, but we’re going to cover the boat show today, after which, we’ll have a word about the importance of proper boat transport. Once you have settled into the area and found your place, you will be able to find up to 600 boats on display both in the water and on land. You could even be one of them – wouldn’t’ that be exciting? 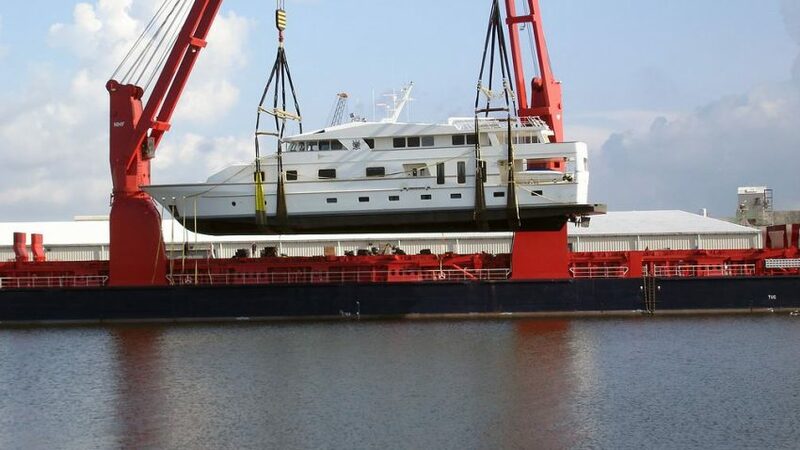 With the right yacht transport company, it could certainly be a possibility. The yachts on display are going to include more than one hundred world premieres; yachts that have never before been seen on the market – you might even find something you like. These shipyards even offer trips out to sea so that potential buyers can see the boat from every angle, including the deck. As you can see, for the discerning yacht owners, this is the place you want to be. Inside the Palais des Festivals, there will be the Luxury Gallery, which is dedicated to crafts, and lifestyle, and it will, of course, be an obligatory walkthrough. It is situated right after the main entrance on the Croisette side, so visitors will get a chance to check out the latest in lifestyle technology. The gallery will allow visitors to see high-end brands, and make important decisions about their own yachting accessories. The Cannes boat show is without a doubt one of the best that Eastern world has to offer, and if you want to participate with your own yacht or yachts, then you’re going to need the best transport. If you want to enter your yacht in the show, then it’s all going to start with getting the best possible transport. Don’t worry; it’s entirely possible. United Yacht has been doing this for years and has a combined experience of thirty years between all of the employees. We have a number of different factors working in our favor and yours, for example, we charter our freighters rather than owning them outright, meaning that if you schedule far enough in advance, we can accommodate a boat of any size. In addition to that, we’re able to load both above and below deck, ensuring a much less expensive journey for you if the freighter is full. The Cannes boat show is right around the corner, and as always, United Yacht will have a presence there. Want to know more? Would you like to learn more about yacht transport and how we facilitate it? Now would be a great time for you to start asking questions! Call us today or check out our website. Most importantly, take a quick look at our YouTube video to see some of our greatest loadings and unloading. In the yacht transport world, we’re the one you want to go with. 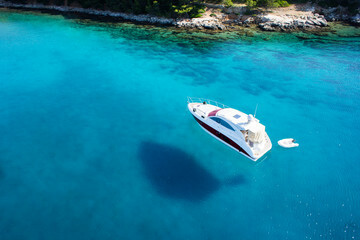 Yacht transport is one of the hottest services on the market this year, especially if you’re planning on visiting Majorca Spain, and why not? Yes, it’s a pretty small island, but it has a ton to offer the wayward traveler, and even more if you choose to travel to it on a yacht. Let’s talk about the island and what it can provide you on your ultimate vacation expedition. First of all, Majorca is the largest of the Balearic islands and is without a doubt one of the most popular destinations. Secondly, if you’re looking for a true Caribbean destination then congratulations, you’ve found it. This destination is precisely what you’re looking for and it’s one of the most scenic that the world has to offer. Today we’re going to look at a few of the great reasons to visit the island and kick off the ultimate vacation. There are a ton of resorts in Majorca, and that’s not an exaggeration. Magaluf, for example, is one of the most famous, especially if you’re looking for the nightlife that the island has to offer. Don’t worry, if you’re coming with your family in tow, it still has a pretty nice beach. You also have resorts like Alcudia which is better for swimming, snorkeling and is close to plenty of bars and restaurants. It’s pretty popular with families due to the wide range of amenities, and it’s a good place for you to weigh anchor after you finish your yacht transport adventure. To put it quite simply, this is a worthy destination for yacht transport. Not only is it a great vacation spot, it features some of the most beautiful scenery that you’re ever going to see. From walking to cycling, you’re going to have plenty of opportunities for exploration and of course, you have the water around the island to explore if you ever get tired of the land. Let’s not forget that the island has also been made a World Heritage site due to its agriculture techniques, making this an outstanding place to visit and brag about. If you’re someone who absolutely loves wine then you’re absolutely in luck when it comes to Majorca. Some of the vintages here are absolutely amazing, and winos from all over the world are piling onto the island. Throughout the destination there are plenty of wineries, making for an outstanding vacation opportunity. If you don’t feel like finding them on your own, the island does offer guided tours, ensuring that you’ll have an easier time finding all of the hottest destinations around Majorca. United Yacht is prepared to transport boats to the Med every single year, and from there you can proceed to enjoy everything that Majorca has to offer. If you’re thinking of heading over there this year or next, then now would be a great time for you to give us a call and see what we have to offer at the moment. 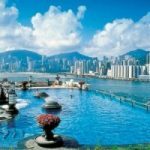 You might be interested to find that United Yacht provides excellent discounts on top of their already amazing transport prices depending on the length of the journey and whether or not the freighter is packed. You might just be in luck this year. If a trip to the Mediterranean is something you could see yourself doing in the near future, then do yourself a favor and give us a call. We’re ready for you! Around the World With United Yacht Transport - Where Do You Want to Cruise? Düsseldorf Boat Show- The World's Largest Indoor Yacht & Watersports Expo!